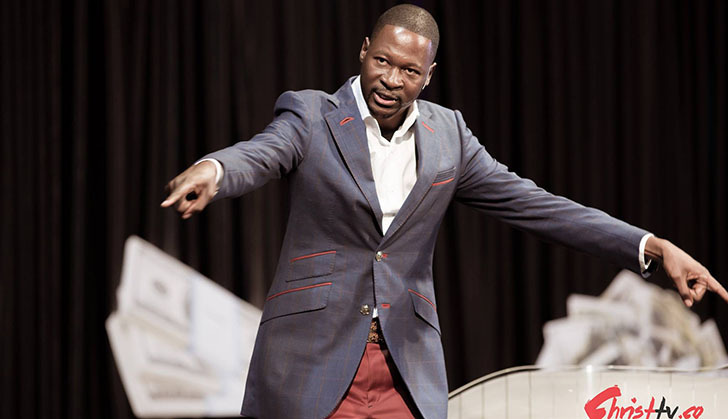 According to a video broadcast on United International Church (UFIC)'s Christ TV, Prophet Emmanuel Makandiwa, during a church service at Life Haven on March 18, 2016, told congregants that South African President Cyril Ramaphosa's life was in danger due to a plane technical fault. At the time of the prophecy, President Ramaphosa was the neighbouring country's deputy president. The release of the video comes barely a fortnight after the release of another video in which the UFIC leader foretold cash challenges. Prophet Makandiwa claimed that God showed him a vision during prayer. He was instructed to pray for Ramaphosa's life and family. When he made the prophecy, he encouraged the Life Haven gathering to pray for the then SA deputy president. Christ TV reported that three days after the prophecy – the South African media was awash with news that Ramaphosa had cancelled a flight from Johannesburg to the Eastern Cape. A report on Christ TV states that on March 21, 2016, South African media, including News24, told the world that Ramaphosa had cancelled a trip to the Eastern Cape after a South African Airforce aircraft developed a technical fault. The Sunday Mail Religion independently verified the reports on the plane technical fault and dates. "The Business Day also reported that Ramaphosa cancelled the trip to Uitenhage for the 31st commemorations of the death of 19 people who were killed when police fired shots at a funeral procession," said a Christ TV reporter. Prophet Makandiwa's prophecy was allegedly fulfilled again 21 days later when Ramaphosa's plane experienced technical problems mid-air while flying to Johannesburg from Mpumalanga on April 4, 2016. "Ramaphosa was returning to Johannesburg from Mpumalanga where he was installed as the first Chancellor of University of Mpumalanga. "AAN7 tv reported that the plane made a U-turn soon after taking off from Kruger National Park Airport for the Waterkloof Airbase after the plane developed a technical fault. The then deputy president was driven back to Johannesburg from Mpumalanga by road." In the prophecy, Prophet Makandiwa said; "I saw in the spirit as I was praying, a sign which was written on the ceiling of the house. I got a name and I shared this with a few pastors. "Are we talking about maps. Why are we talking about maps? Is there anything we need to adjust? So I began to think about this other place and so on. l was wondering about it. So I kept praying and praying until the following day at around 3pm when the name re-appeared. "This time it was complete and the Lord said to me understand what I mean by this because before the name appeared the Lord had said pray for his life and family. I had been praying asking God about the REMAPPS, asking God what He meant by that. "For the last time, that name appeared again, it was written Ramaphosa; it's Cyril Ramaphosa in South Africa. The Lord said we need to pray for his life and family. After that I understood what the Lord meant. The Lord then opened everything and I saw everything that was happening. The (Ramaphosa) family was mourning. They will try to investigate the cause to establish whether it's a natural occurrence or not. "I saw a plane taking off, but it shouldn't have. So are they supposed to come back and land? Where are they? Are they supposed to proceed? Which place is closer? "So we need to pray. These are some of the things we just need to cover."